Yesterday's Person-of-Mystery was Galusha Grow! After my post on redistricting, I received a couple letters from people saying that I was discouraging people from voting. I hope this wasn't the case. I have voted in every election I could. I just think that having politicians from both parties draw boundaries that give an almost assured win for all incumbents is bad form. So I figured I'd put forward a Person-of-Mystery where one vote did make a difference. 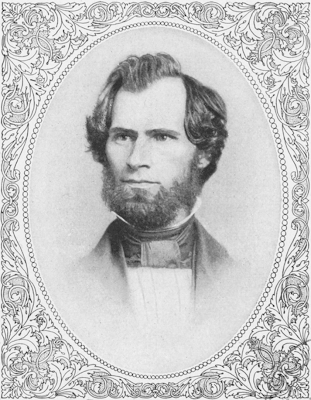 Galusha Grow was a politician from Pennsylvania first elected to Congress at age 26 in 1850. 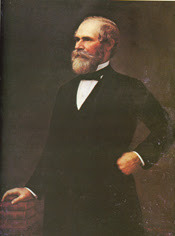 He first ran as a Democrat, but joined the Republican party in 1856 and remained a member of the GOP for the rest of his life. Galusha Grow was one of those people who should have been remembered (particularly with a name like Galusha), but isn't today. 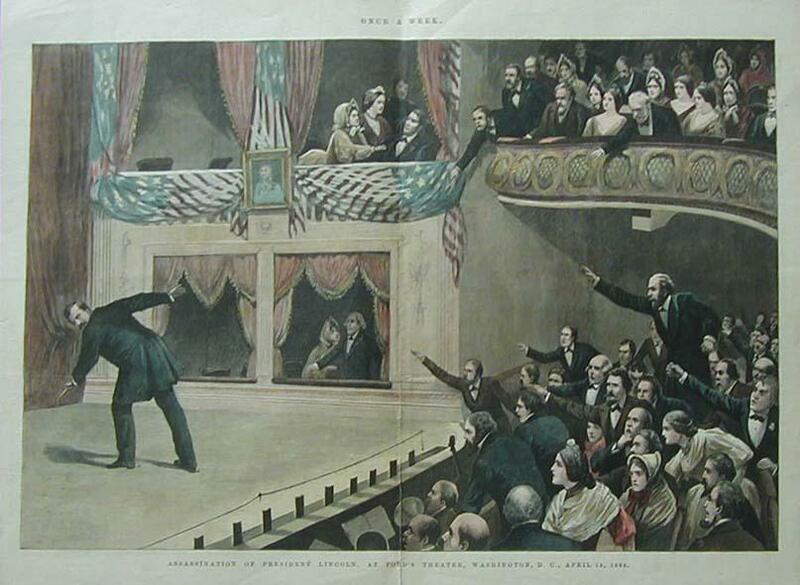 You probably have all heard of the beating of Senator Charles Sumner by Representative Preston Brooks in 1856 in the Senate itself. What you probably never knew was that one of the reasons Brooks could continue beating Sumner unrestrained is because another representative, Laurence Keitt (one of the so-called "Fire-Eaters"), kept everyone at bay with a drawn pistol. Keitt, two years later, caused a separate altercation in the House of Representatives when Galusha Grow stepped over to the Democrat side of the House chamber. Keitt cursed at Grow and went for his throat starting a fight involving about 50 members of the House. It only ended when Rep. Cadwallader Washburn threw a misplaced punch at Rep. William Barksdale taking his wig off instead. Barksdale accidentally put his wig on backwards causing both sides to start laughing and the fight ended. Grow was a strong proponent of free land. He had a vision of an entire continent settled by independent family farmers (primarily Northerners and European). Of course, the Southern faction fought the idea of settling shared territorial land in this slave-free fashion. As the Southern States seceded, their Representatives left Congress and the free soilers saw their chance. In a now half-empty House, Galusha Grow, was chosen as the new Speaker of the House. Seeing his chance to advance his land giveaway before the Southern members returned Grow pushed through free land legislation. Because of his strong advocacy, Grow is often called the "Father of the Homestead Act." Grow was defeated for reelection in 1862, but remained very active in politics. In the run-up to the 1864 election, it was widely believed that Lincoln would probably lose. 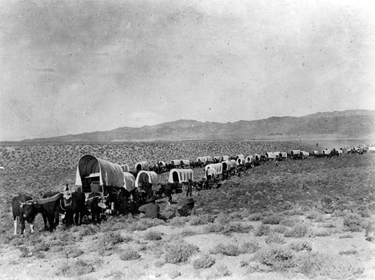 During the 1864 Presidential Election, the Republicans were looking for a dramatic move to give new life to the ticket. Many thought a new Vice Presidential running mate might garner more votes for Lincoln. Galusha Grow was strongly considered as a potential VP, losing the initial selection to Senator Andrew Johnson by one vote. As is known, Andrew Johnson was installed Vice President in March, 1865, and Lincoln was dead the next month, making Andrew Johnson the new President. Therefore, one vote in the earlier selection process may have changed history by giving us a President Grow and a President who would have likely strongly supported the agenda of the Radical Republicans. Grow would later become President of the International-Great Northern Railroad and eventually return to the House from 1894 to 1903, but has become mostly a footnote in our modern history books. His name surfaced shortly in 1994 news reports announced that Tom Foley had become the first sitting Speaker of the House since Galusha Grow to lose his seat in an election. "the Democrat side of the House chamber"
It's an adjective - Democratic - and using it offers the same respect that is given to the name Republican. Giving you the benefit of the doubt, let me explain: in current parlance, calling it the "Democrat Party" is something of a put-down, an insult by using less than the proper name. Mary, I'm sorry if "Democrat side" sounded offensive. I had first written "Democrats' side," but the double s sounded odd, so I actually corrected it. I thought in my head, should I use "Democratic side," but then it sounded like I was trying to insult Republicans by implying they were somehow not democratic. Great history lesson, Nate. Thank you. It sure beats "The Raven" (which I did not reread - once back in HS was enough) on you-know-whose site. You're always teaching us something. At the end of your comment to Mary you put :D - I have seen people put that on Facebook comments too. What is it? Is it suppose to be a smiley face or something? Judi, the :D is indeed a smiley face. If you tilt your head to the left it makes more sense. "...You probably have all heard of the beating of Senator Charles Sumner by Representative Preston Brooks in 1856 in the Senate itself..."
No, actually, I didn't! USian history wasn't in my Canadian curriculum, but then I only took history for grades 9 and 10. I'm learning quite a bit about Radical Republicans thanks to Galusha Grow being your Person of Mystery! I like reading your website for the reason that you can always bring us fresh and awesome stuff, I feel that I should at least say thanks for your hard work. You know Galusha was my 3rd great grand-uncle if you can believe that. Or more easily, my great great great grandfather's brother. My family has the Brandy snifter he reportedly drank from before every session of the House. Scott, you should e-mail me. I've got a pretty well researched Grow genealogy if you are interested. Thanks for the comment. I am doing the family historyand find it fasinating that we could have been related to a President. Galusha's father Joseph is the brother of Rhoda and Chloe. They married Alfred and Asa Bennett, my direct line. gross sales Recruitment organizations across America – medicalsalesreps recruiting division ranks #2 involving 6,000 Recruitment companies inside US pertaining to 2013 because of its most Influential revenue Recruitment Firms. the extensive expert analysis for 6000 recruitment businesses across America were rated in quite a few things inside MedCepts being positioned Just like #2 connected with just about all 6000 recruitment firms. The after that judge is the Honorable Judge Donald Kessler whom features also been towards family law bench of Essex County pertaining to a lengthy time. Judge Kessler is a stickler for the rules of a court, but is really a very kind ALONG WITH patient person. He does not tolerate yelling or perhaps other unruly behavior throughout his court. He will allow individuals to make the arguments individual with a time being a court In case always be law similar to AS WELL AS not such as the Maury Show It some judges permit. Judge Kessler is really a family man that truly watches out because of its Specifications of your children inside each case greater than anything else.